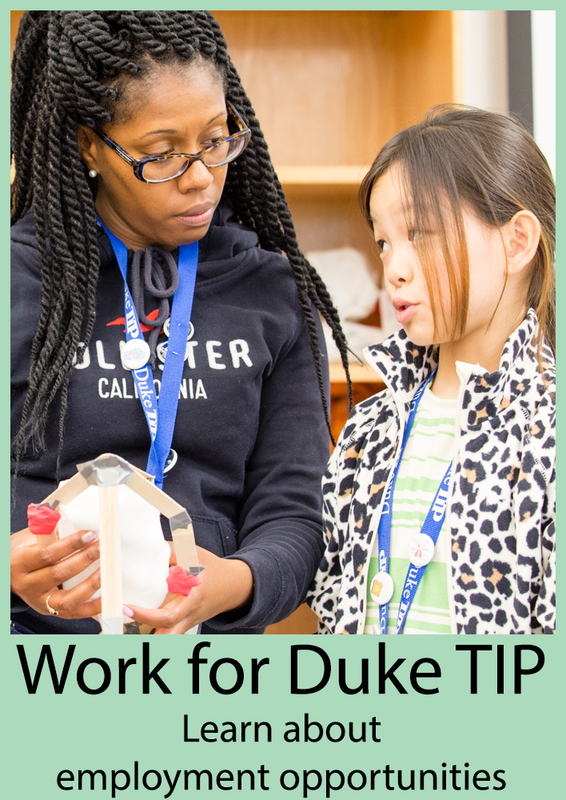 When I first learned of the opportunity to design the Duke TIP eStudies curriculum for Cancer: Biology, Prevention, Detection, and Treatment, I had just finished a transformative clinical rotation as a nurse on a General Oncology floor. My understanding of cancer had shifted from a finite disease process to a complex experience that was influenced by a myriad of social, economic, environmental, ethical, and political factors. I was inspired by the compassion and interprofessional collaboration among members of the healthcare team to ensure that patients’ medical and socioemotional needs were met, in spite of challenges associated with access to healthcare, insurance gaps, and financial resources. Wheels turned as I considered what my gifted students needed to know about cancer biology, the patients and families that cancer affects, and the healthcare team fighting the disease. How could I simulate experiential learning in a healthcare setting for students learning in a virtual classroom setting, while fostering cognitive, social, and emotional development? 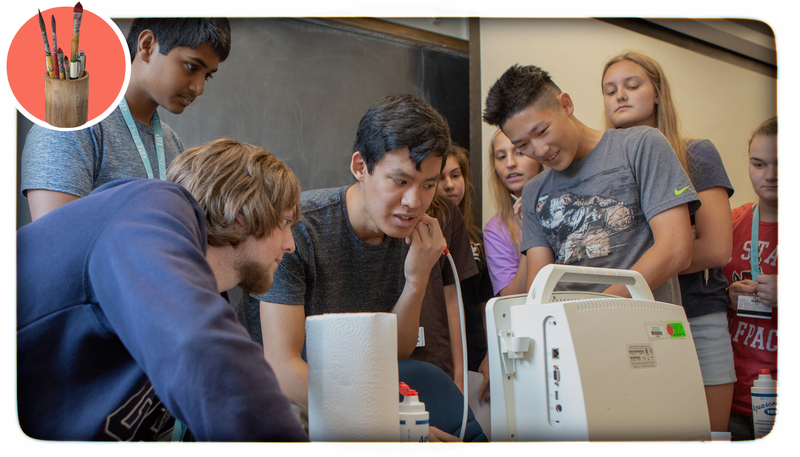 How do you simulate experiential and problem-based learning in STEM courses? To efficiently gather scenarios related to patient histories and ethical dilemmas, it is easiest to seek literature and experts in the field who can provide inspiration and adaptable resources. The curriculum in Cancer: Biology, Prevention, Detection, and Treatment benefited tremendously from the professional expertise of Dr. Kathy Simon, a pharmaceutical scientist with a doctorate in Biochemistry and Anaerobic Microbiology, who consulted on the key knowledge and skills students should have after completing a course on cancer. She provided primary sources that served as the hallmarks for cancer biology and original case studies relating to patient care that could be adapted easily for student use. Dr. Simon produced many of the problems for the course that I could revise and scaffold to meet students’ varying levels of readiness and ability. By redesigning these case studies and their figures to represent open-ended patient files, students practiced skills of analysis and systematic thinking associated with diagnosis and treatment of several cancer types. Early in the term students review the case of a 57-year-old man who seeks their care after finding a marble-sized lump in his breast. Using this patient as a model, students work together to collect pertinent patient information, identify risk factors, and differentiate between presumptive and positive signs of cancers. They engage in medicine as a deductive process marked by gray area and uncertainty. Later, the students engage in increasingly complex patient scenarios and consider how disease progression may affect treatment and the patient experience. They take care of a 35-year-old male, “Charlie,” who arrived to the hospital complaining of unexpected weight loss, diarrhea and bloody stools that started a few weeks prior. Together, they identify the tests that could definitively diagnose his cancer, interpret test results, determine the disease progression, and propose possible treatment options based on their findings. They capture the essence of the medical profession in this exercise by using reasoning skills of the medical process to treat Charlie while incorporating interpersonal skills to counsel him on his options and provide anticipatory guidance about his experience. Although not every teacher has a disciplinary expert at their disposal, a quick PubMed or Google Search for real-world applications or case studies can yield abundant instructional materials that increase the depth and complexity of the content. You might also contact families in your school or community or at a local university, clinic, or other institution in order to find content experts who can assist you. Discussion forums are another opportunity to expose students to the complexity of future careers in medicine by prompting students to explore and analyze the factors that influence patients’ access to healthcare and treatment. In these spaces, students can practice explaining a cancer diagnosis to a patient using discipline-specific terminology with the added challenge of crafting their response to, among other patient types, a geriatric, non-English speaking, adolescent, undocumented, or LGBTQ patient. In one forum, students reflect on a collection of articles written about the financial and social impacts of cancer treatment in order to explain the common notion that “cancer treatment is worse than the disease itself.” They engage in discussion about the responsibilities that medical professionals have in preparing patients for these side effects and treating the patient holistically. In another activity, students explore the challenges that pharmaceutical companies endure when recruiting patients for their studies, marketing drugs, and proving the efficacy of their products. They analyze the economic and social issues preventing patient enrollment and provide solution-oriented feedback to improve the process. These discussion forums facilitate engagement with the concrete scientific principles while adding depth through exploration of the factors that impact the disease process. Students who are preparing for careers and post-secondary pursuits in medicine must also practice skills of collaboration, providing and receiving feedback, and delegation. In medical-based units, students can collaborate on weekly assignments that prompt them to take on the roles of patients, patient navigators, physicians, social workers, or pharmaceutical researchers. These scenarios encourage students to take ownership on different aspects of patient care while working together to achieve a final outcome. For example, students may develop anticipatory guides for patients and families who are entering the hospital for treatment. In this task, they address normal and abnormal biology underlying their diagnosis, the patient’s risk factors for cancer development, genetic associations, diagnostic criteria needed to develop a treatment plan, anticipated risks or adverse effects associated with treatment, and other socioemotional supports the patient might require throughout survivorship. In these activities, students collaborate to think holistically about their patients and their concerns prior to starting treatment. Tools included in the G-Suite (Google Apps for Education) allow teachers to monitor group work in an online environment. The “revision history” feature in Google docs, for example, assists instructors in identifying the quality and quantity of students’ contributions in a group project. It allows us not only to view the final response, but to also monitor the types of collaboration and peer feedback present during product development. I have used this feature not only to assess students’ mastery of the content and skill objectives, but to coach them on respectful, meaningful engagement with their peers throughout the processes of brainstorming and revision. By making peer feedback an integral part of the collaborative process, we can remove the silos where students learn in isolation and develop a future workforce that recognizes the value and structure of teamwork. While courses that challenge students to consider emotionally-charged problems and rigorous scientific concepts appeal to gifted students for their complexity, they also have the potential to leave this emotionally-intense population open to personal crisis. In the Cancer course, I knew that some of students would be confronting the realities of cancer for the first time while others would be reminded of personal or familial cancer experiences. This content can provide healing for some students who seeks answers about cancer, but it may also resurface some past struggles and emotions that had been otherwise repressed. Some gifted students also struggle with the rigors of an advanced science course that challenges them to think and perform beyond the limits of a traditional science course. For these students, a course that is meant to challenge their intellect and skills can quickly become overwhelming and unmanageable. When offering the students to explore unfamiliar territory, we have to allow ample outlets for students to process their experience in a safe and accessible forum. Weekly journals are one way to identify those students who may require more support throughout the course and to connect them with appropriate resources. As an added bonus, these low-stakes writing assignments can encourage students to bring alternate perspectives to discussions and enrich the learning of all students in the course. How can we adapt the stories, duties and underlying principles of other STEM fields to make learning relevant and engaging to students? As instructors, we must look towards professions in the field to inspire our lesson plans and facilitate development of post-secondary skills. We can introduce gifted students to the complexity of post-secondary pursuits by incorporating problem-based and self-reflective activities that require students to perform at the level of a professional. Paths of Pathogens: Take Charge of that Petting Zoo! Catherine Macek, RN, BSN has a BA in History from Boston College, a BS in Nursing from the University of North Carolina at Chapel Hill and a Graduate Certificate in Teaching from the University of North Carolina at Charlotte. She is a passionate educator and health care provider who is most inspired when she discovers ways to combine her fields to make learning real, relevant and meaningful to students. Catherine’s mission as an educator is to bring experiential and project-based learning into the classroom to assist students in developing the practical and social-emotional skills needed to be tomorrow’s leaders. With these goals in mind, Catherine revised the Duke TIP eStudies course Anatomy and Physiology: Form, Function, and System and designed the Duke TIP eStudies courses Cancer: Biology, Prevention, Detection, and Treatment and Biotechnology: Nature and Humanity, Enhanced?. Good job I was very happy to see such a great event. Cancer levels are increasing day by day. We need to take better steps towards this.